Squash-based soups can be one-dimensional and boring. Next time, throw roasted apples into the mix for a light and bright note on a classic winter soup. While packing for our trip to Hawaii in early January, I caught my husband with a puzzled look on his face as I threw a few miso soup packets into my suitcase. “You’re taking soup with you to Hawaii?” he asked. “Of course.” I replied. As if packing soup for a trip to a tropical island were the most normal thing in the world. By now he’s grown accustomed to me taking certain things on our trips to make me feel more at home. When we retired my old suitcase recently he found a bag of assorted black and herbal teas in one of the pockets. My husband understands this since he knows I enjoy my tea ritual each morning and prefer to drink my favorite brand rather than what some hotels offer. 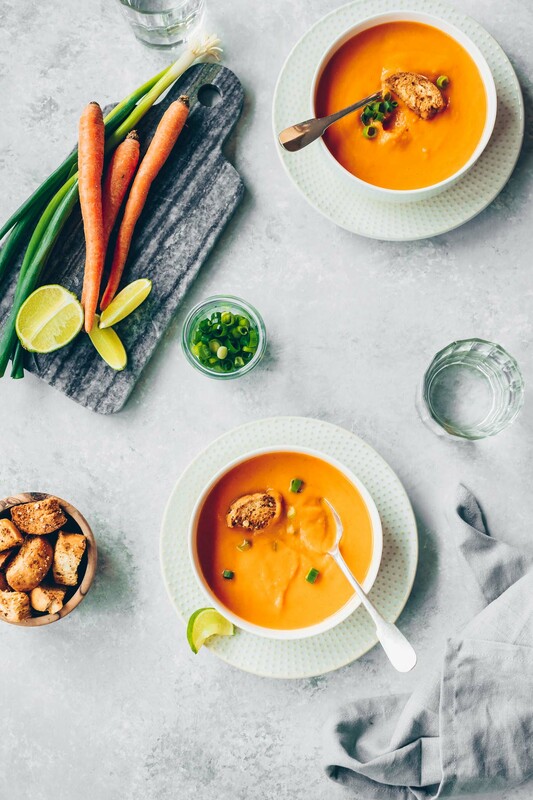 He knows my love for soup, too, but apparently the idea of adding it to my “comfort list”–and for Hawaii no less–still needs some getting used to. But here’s the thing: some days all I want is a bowl of soup and when I’m away from home I like to be prepared. Even with several markets and countless restaurants around us, it was extra convenient to be able to pull the packets out of the cabinet when the soup craving hit…and my husband even enjoyed a cup or two with me. I mentioned all this to help express how delighted I was that soup–along with stews–earned a feature with my Blogger C.L.U.E. group. I was assigned to Anna of Anna Dishes this month. I’ve had the pleasure of being assigned to Anna’s blog before and I was pleased to find another recipe that I was keen to try. My husband and I have been on a squash kick lately. It has been such a staple for us this winter that even during our three week visit to Hawaii squash made it into the dinner rotation a few times. 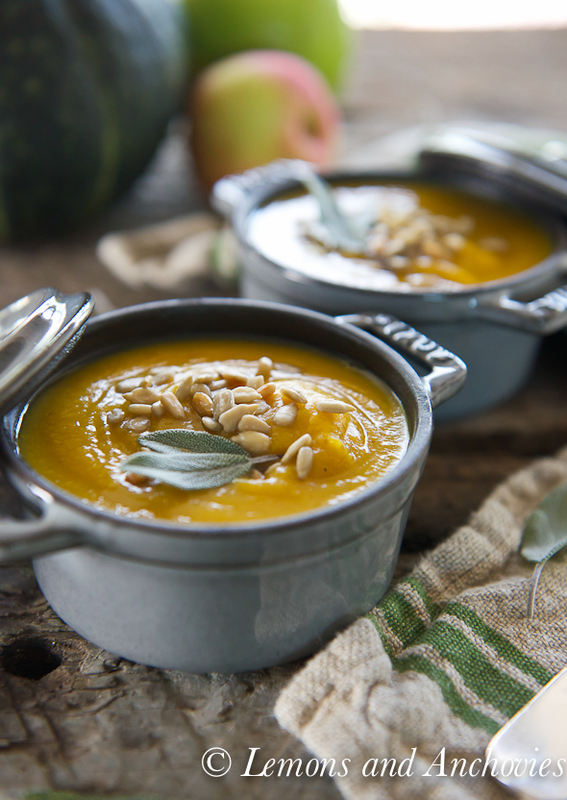 I’ve been preparing our favorite, kabocha squash, simply roasted or par-cooked and sautéed with other vegetables Asian style, so coming across Anna’s Roasted Squash and Apple Soup was a welcome new way to enjoy it. 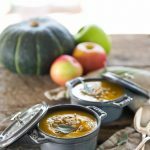 I’d always been curious about adding apple to a classic squash soup and I was very pleased with the results. 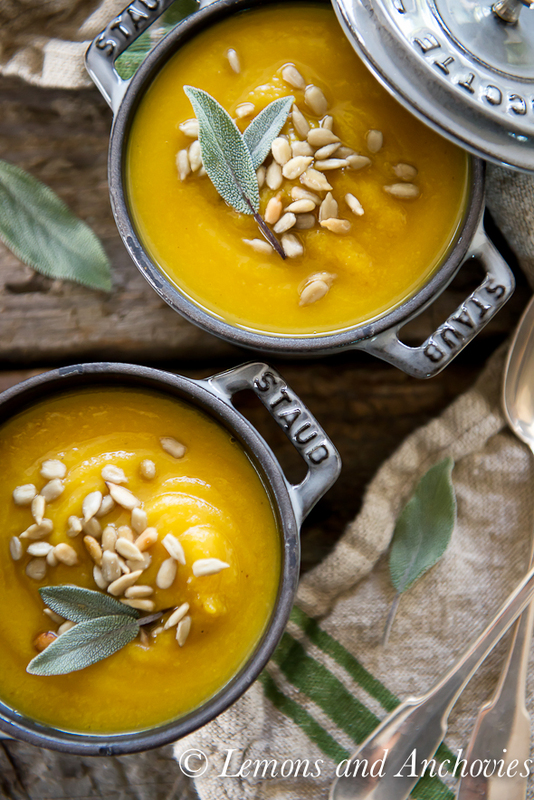 Squash-based soups can taste one-dimensional and boring but throwing roasted apples into the mix adds a light and bright note to a classic preparation. The use of unsweetened almond milk works well here but feel free to use stock or a combination of both. I had to make minor adjustments to Anna’s original recipe to keep the soup appealing for my husband and it was still a winner. It was thick and heartwarming without being cloyingly sweet as some squash soups can tend to be. The apple really does add such a brightness to each bite that I wouldn’t consider preparing squash soup again without it. Thanks for another winner, Anna. 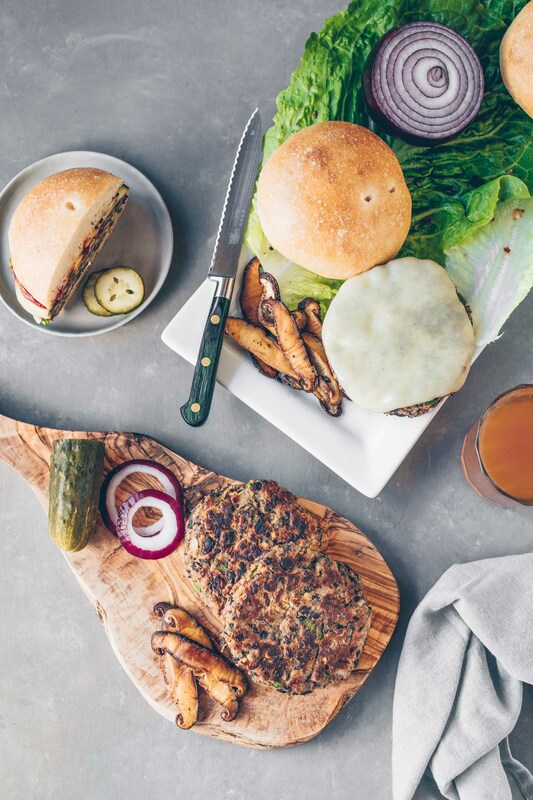 Now I’m eyeing a couple more squash recipes in your archives. 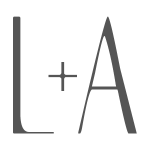 Scroll down below the recipe for more soups and stews for this month’s Blogger C.L.U.E. Halve the squash and scoop out the seeds. Brush the open sides with olive oil or spray cooking spray then lightly sprinkle with salt. Lay face side down on the baking sheet and bake for 20 mins. Meanwhile, brush the apples with olive oil. After 20 mins, add the apple halves to the baking sheet and continue baking until the squash is fork tender, another 20-25 mins. Remove the roasted squash and apples from the oven and let rest until they're cool enough to handle. Once cooled, scoop out the meat of the squash and transfer to a blender along with the apple halves, almond milk and stock. Blend until smooth. Alternatively, you can transfer the squash, apples and liquid to a pot and use an immersion blender. Transfer the mixture to a pot and heat over medium to medium-high heat. Add the salt, nutmeg and no-salt seasoning if using. Once it starts to bubble on top, turn off the heat and serve. Top with sunflower seeds. Both my husband and I travel with our favorite tea, as well! I haven’t tried bringing miso with me, but I completely understand. This soup is so lovely and color and texture and I do love how apple brings a brightness to soups. Soups are welcome any time, any where, in my mind! What a wonderful soup and such a beautiful presentation! 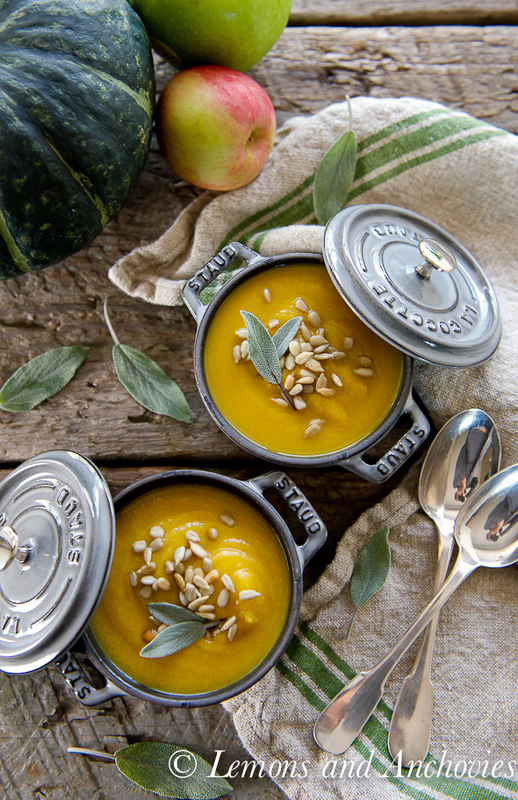 Apples and squash just seem to go together, don’t they? I have never used almond milk and now I am curious…. Yum! That soup looks so beautiful! A heavenly combination and comforting soup! I’ve been known to travel with my favorite tea, packets of protein powder, bags filled with homemade granola.. you get the idea ;). 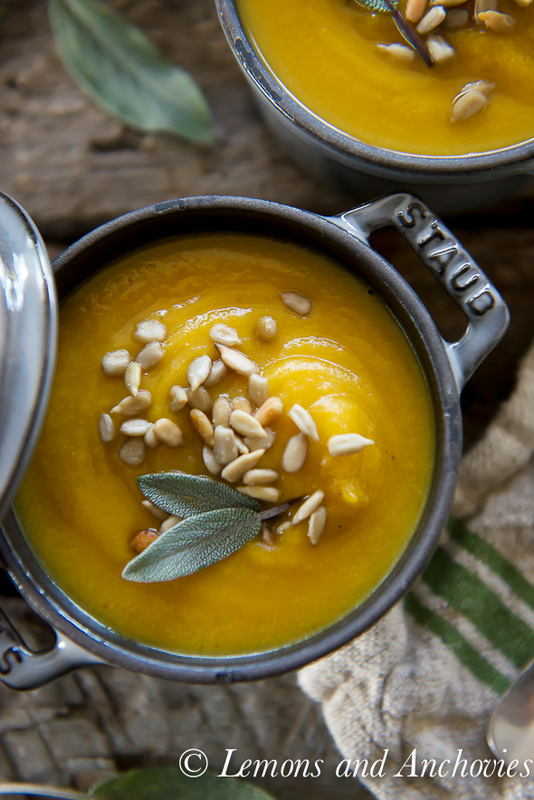 I love squash soup and this sounds so cozy with the apple and sage! Looks so thick and hearty! 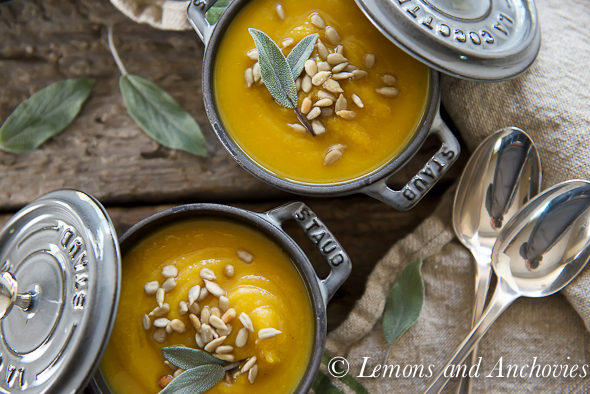 I love squash soups of all kinds and this is no exception! I must try this. Love those little Staub pots. I have wanted some for awhile but didn’t know what I would do with them. Great for photos as you have proven! 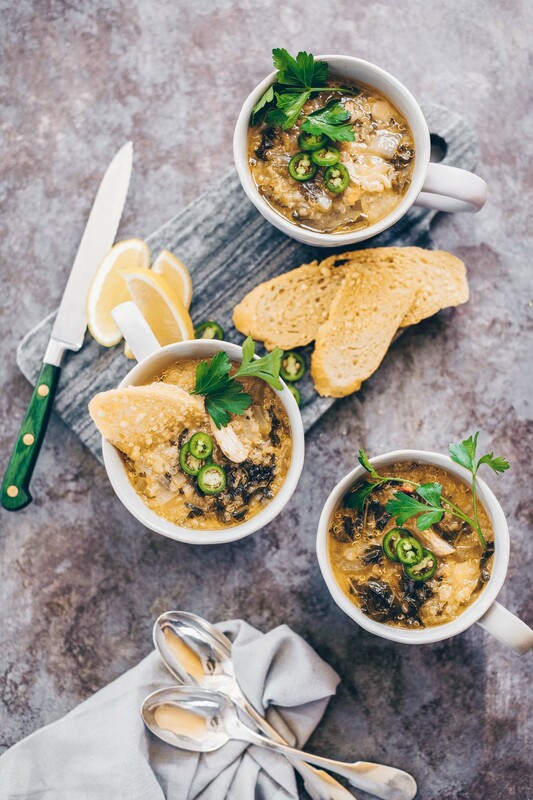 Jean you made a simply stunning soup and the photos are stunning! Your comment about the soup not being sweet and cloying allayed the one reservation I have when making a squash soup so I’m tabbing this one to try this winter. It looks fantastic. I’m also grateful for the tip about packing packets of soup when traveling. That’s a genius idea. It’s so easy to heat water in hotels thanks to the mini-coffee makers, but I’d have never thought to use them for quick soups. 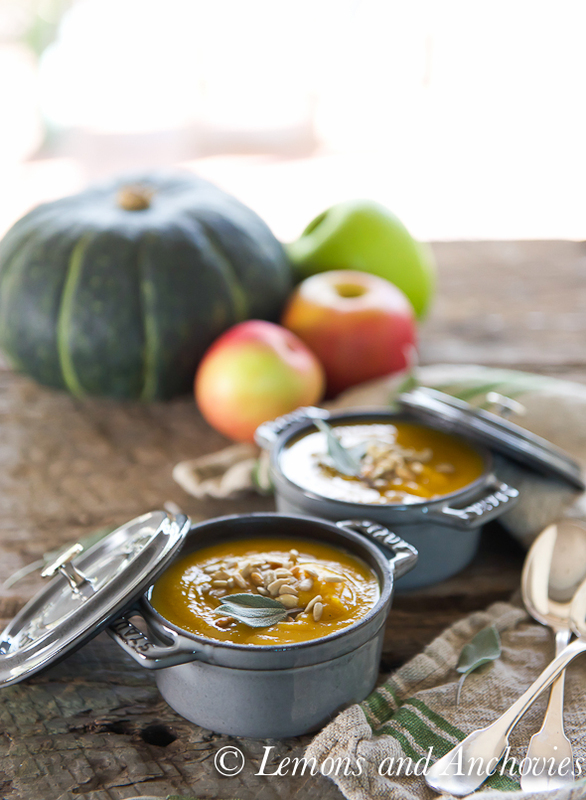 I just love squash soup, then you go and add apple…..I’m swooning. Great photos! I love the apple addition.